As we start a new year are you interested in trying a new activity, getting healthier or maybe interested in Volunteering? If you are Community Together CIC has lots of activities and volunteering opportunities available. Monday evening between 4pm and 6pm we have our Cook Together, Eat Together session taking place at our Hub in the Castle Grounds. The cost is £2 per person plus £1 for a drink. The group each week learn how to cook a simple meal using fresh ingredients and then all sit down together to eat the meal. A great way to learn how to cook, meet new people and have a chat whilst eating your meal in a friendly atmosphere. On Tuesdays we have our beginners and intermediate cycling groups take place. We meet 10am again at our Hub in the Castle Grounds and split into two groups. Led by qualified cycle leaders the beginners ride will help you build your confidence and will travel off road for approx. 5 miles. 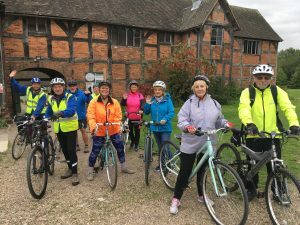 Again led by qualified cycle leaders our intermediate ride is for those who have some experience and involves an element of on road cycling as well as off road and you will cycle for approximately 10 – 15 miles. If you don’t have a bicycle we can arrange for you to have 6 free hires. Finish the ride off by enjoying a nice cuppa at our Hub. Fridays sees our Digital Drop in session take place between 10am and 12noon again at our Hub in the Castle Grounds. If you need help with your laptop, iPhone, iPad, Tablet, Camera etc pop in and we may be able to help. For those who like Arts and Crafts pop into our Hub in Fridays between 11am and 2pm and help us with our mosaic, knit coats for the trees or paint a smile stone. 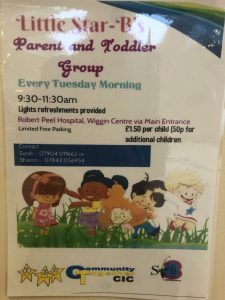 A new parent and toddler group is being launched on 29th January 9.30am – 11.30am at the Wiggin Centre at Sir Robert Peel Community Hospital. There is a small charge of £1.50 for this activity. You will receive a hot drink and your little one receive some fruit and a biscuit. 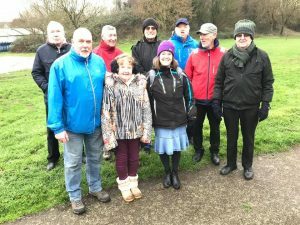 On 5th February will see us launch another session of our popular Sing for Fun group. This will take place the 1st Tuesday of every month at Sir Robert Peel Community Hospital 10.30am – 11.30am. You don’t need to be able to sign just pop along and have some fun. With all the activities we provided we have numerous volunteering opportunities available. 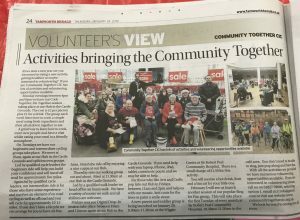 If you are interested in Volunteering please give us a call on 01827 59646 option 1, email ctcicinfo@gmail.com or visit our website www.communitytogethercic.org.uk. Monday to Friday 10am – 4pm* and Saturday and Sunday 11am – 3.00pm* during School Holidays. *Core hours. Later opening depending on weather. Introducing the Community Together CIC blog.